World’s 3rd, 4th Largest Economies Ditch Nuclear For Renewables. Next? The world’s 3rd (Japan) and 4th (Germany) largest economies have both ditched plans for future nuclear reactors, opting for renewables and power efficiencies to do the job. Both nations now believe they can move into a low carbon future and run their massive, industrialized economies without the need for more nuclear power plants. About 30% of electricity in Japan comes from nuclear power, and the plan was to increase this to 50 percent, so that is a significant change of plan for Japan. 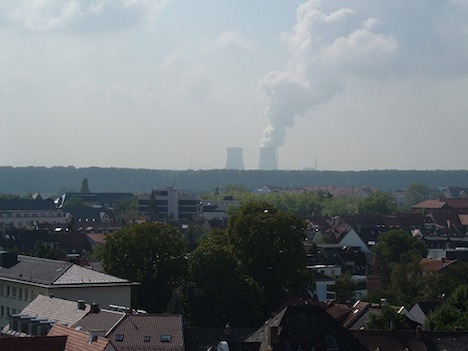 In Germany too, around 25% of power came from nuclear plants. Which major economy will be next to follow suit? As it happens, there is a referendum in Italy in June to decide on whether to continue with plans to build nuclear power stations. Italy has the world’s 7th largest economy. Italy could well be next, and soon. Adding to the momentum is the U.N. report that projects that world renewable energy demand will surge over coming decades, eventually reaching nearly 80 percent of overall power by 2050. Could we be near a tipping point of major economies prepared to take the plunge into a substantial clean and renewable energy future? If not, why not? If countries such as Japan and Germany can do it, why not many others too?